Tense negotiations were still under way by Wednesday evening with the lawyers of five suspects arrested by the Hawks in connection with the R220 million looted from the failed dairy farm in Vrede, Free State. Earlier on Wednesday, City Press reported that at least two suspects – one a Gupta brother and the other the former Free State agriculture department head Peter Thabethe – were expected to appear in the Commercial Crimes Court in Bloemfontein. But City Press has just learnt from a senior security cluster official that they would appear before a magistrate if one could be found after hours. If not, they would appear in court on Thursday morning. Earlier, City Press reported that the Hawks took elder Gupta brother Ajay in for questioning. He has now officially been placed under arrest. 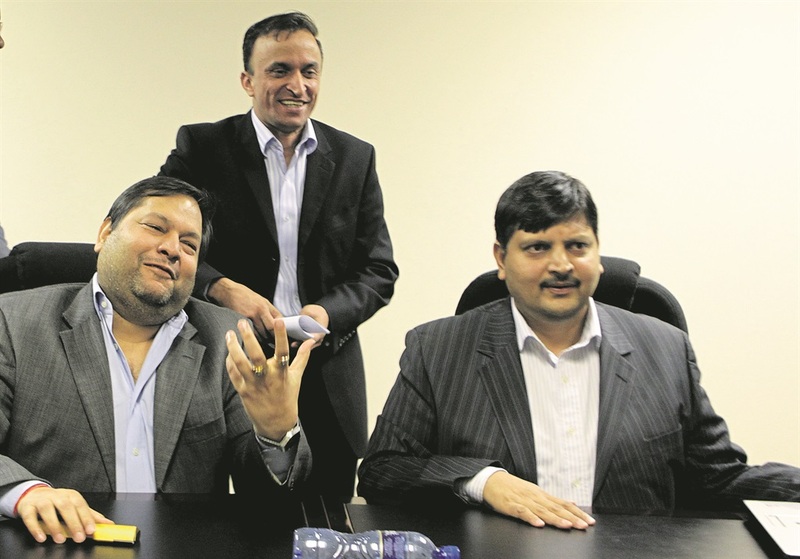 City Press was told by another senior security cluster official that the family’s mastermind, middle brother Atul Gupta, was in discussions with the Hawks, through his lawyer, to hand himself over. In addition, the source said that the Hawks had yet to apprehend Duduzane Zuma, who was reportedly in discussions with them today to hand himself over as well. City Press has learnt that relatives of the Gupta brothers went to the Hawks headquarters in Silverton this afternoon enquiring about the wellbeing of Ajay Gupta. They were, City Press learnt, unhappy at having been turned away after being told that he was not there, but was being kept in the holding cells in an unspecified police station. By 5.30pm on Wednesday, five suspects had been arrested in connection with the Vrede dairy farm case. Three were being held in Free State and two in Gauteng. The two who were arrested in Gauteng are now en route to Bloemfontein ahead of their court appearance, and are being transported by the police. Two other suspects have promised the Hawks that they will hand themselves over to the police. Earlier on Wednesday, City Press reported that Thabethe was arrested at his home in Bloemfontein after a raid conducted simultaneously with the raid on the Guptas’ home in Saxonwold, Johannesburg. He was, however, arrested in Parys, City Press learnt this evening.